(NaturalNews) Moving to the city to get a higher-paying job is not always a better economic decision. After adjusting for cost-of-living differences, many of these higher paying areas also come with much higher taxes and diminished dollar value. After the higher cost factor is figured in, a high-paying salary is often worth less than a modest income for someone living in a rural area whose money has more purchasing power. On a state-by-state basis, places like New York and California are often viewed as more financially opportunistic, providing higher-paying jobs. It turns out, however, that states like these are actually more economically challenged, making it harder for families to get the most out of their income. Using data from the Bureau of Economic Analysis, the Tax Foundation compiled data from 2005 through 2009 showing the real purchasing power of personal income per capita. They compared New York with the state of Kansas. In nominal dollars, New York appears richer, boasting $47,000 per capita to Kansas' $39,000 per capita. After the real purchasing power of the dollars was adjusted per capita using the Consumer Price Index, the value of money earned in Kansas surpassed the value of New York money. New York fell to $40,000 per capita, while Kansas rose to $45,000 per capita. In conjunction with this data, the Tax Foundation compiled federal data from all 50 states to reveal regional price variations. The group composed a map showing just how far $100 goes in all 50 states. The map shows the value of goods that $100 can buy in each state, compared to the national average. These regional cost differences were released by the Bureau of Economic Analysis for the first time ever in April 2014, showing the real strength of each economy. Consumer Price Index information was figured in for expenses such as coffee, cereal, fuel, clothes, airline fares, hospital stays, college tuition, funeral expenses and sporting event tickets. The data revealed a striking pattern. The places where government intervenes in the economy the most are actually also where $100 is worth the least. Among these were the District of Columbia ($84.60), Hawaii ($85.32), New York ($86.66), New Jersey ($87.64) and California ($88.57). States in the middle of the pack included Illinois ($99.40) and Florida and Oregon ($101.21). Still, there were at least 30 states ranking higher than these, where a $100 bill is worth more than the national average. 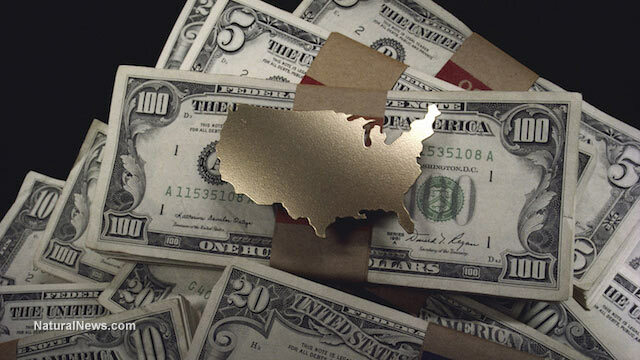 The best economies are in the heartland and throughout the southern United States. The states where $100 was worth the most (compared to the national average) included states with minimal government intervention in their economy. These states included Mississippi ($115.74), Arkansas ($114.16), Missouri and Alabama ($113.51), and South Dakota ($113.38). This shows that $100 in a place like Washington, D.C., would only provide $85 worth of food, while buying nearly $116 worth of groceries for someone living in Mississippi. That's roughly a 30 percent difference! This is the first set of data revealing how wealth redistribution programs actually destroy the relative value of currency for everyone. Using government to take from one to bail out another apparently raises taxes and cost of living for all, inflating the cost of consumer goods, from healthcare to food. These states, where government intervenes "on behalf of the poor" are actually the poorest states, where dollars are worth less for everyone. As the Bureau of Economic Analysis reveals, $50,000 in New York is really worth just $43,000 after accounting for taxes and higher cost of living. For a state like Oklahoma, the $50,000 actually feels more like $56,000.